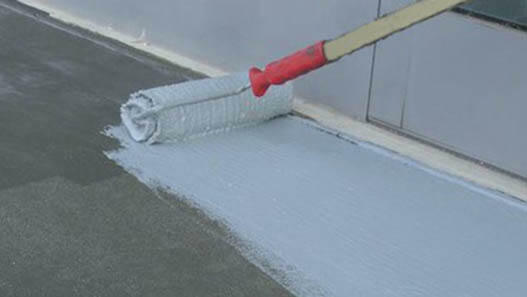 The factors for which roof insulation method is best suited to each case are various, depending on the age of the house, the current situation of the existing insulation, the size of the use to be made, as well as the available budget. At this point you should know that in whatever method you end up, great attention should be paid to the materials used. The materials in an insulation play an important role in the thermal insulation of the roof we want to achieve and the results we expect from the insulation we will install. 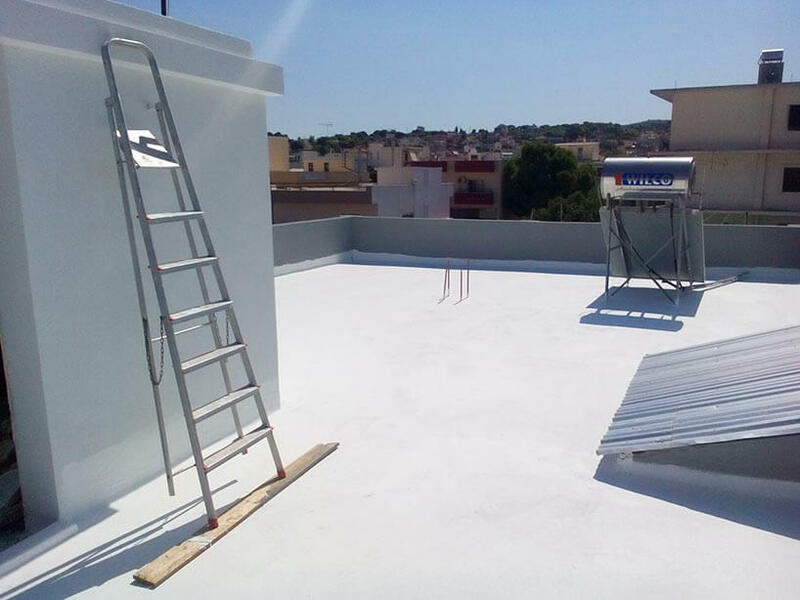 We, for all insulations, whether it is about an external insulation or insulation of roofs, use the Durosol thermal insulating material which we ourselves have created and produce at our facilities in Aspropyrgos. Insulations that last for 100 years! It has the highest thermal capacity (see. Certifications) for roof insulations. It “breathes” so we have no moisture accumulation in the insulation surface. Attention! The insulating material with closed cells does not “breathe” and generate moisture accumulation problems. Regarding roof insulations which use materials that do not “breathe” the spaces become unhealthy, frequent aeration is required and what is frequently observed is the water vapour liquefaction and subsequent mould. Given with 10-year guarantee for roof insulations and other insulations such as the external insulation. It is healthy, swelling with steam, does not contain harmful gases such as freon or CO2 and it is not condemned by environmental organizations, like extruded polystyrene does (see. The Greenpeace black list). It does not retain – absorb moisture and it is not affected by the thermal insulating properties against moisture and water. The lightest roof insulation in the market! Looking for a light roof insulation; Our company as a pioneer and specialized in insulation created the Durosol Light Roof system that we provide exclusively. The Durosol Light Roof is the most economical solution on the market, while guaranteeing perfect insulating effect and weight of the application is no more than 9kg / m². Specifically, the above system is most suitable for buildings constructed before 1980 and for buildings whose roofs do not withstand a lot of weight. Then you can learn about the application process, the stages and the cost for insulation roof Light Roof.. The best solution for insulation of roofs with full compatibility! Another lightweight roof insulation system is the Durosol Light Roof Plus. We created the Durosol Light Roof Plus system to satisfy those looking for a light roof insulation and parallel compatibility for other uses (e.g. placement of tables, chairs, stairs, etc.). The methodology we developed ensures a high thermal insulation effect and waterproofing of the roof. Application-wise, it is quite similar to the Light Roof method but on the topcoat, a tile is placed. So, as we mentioned before, we can safely use the roof by mounting point loads. Then you can be informed about the materials used, the stages and system costs for roof insulation. Apart from the guaranteed only solutions offered by our company, there are two more ways insulation, the conventional one and the inverted roof insulation. Specifically, the conventional method is the traditional way for the insulation of roofs, however the way it is applied and the materials used (e.g. asphalt) do not allow us to provide guarantee, since, over time, the insulation will lose its ability of thermal insulation. The inverted insulation is exactly the contrary to the conventional one and in this case the insulation is not guaranteed, since it has several disadvantages over the Light Roof Plus insulation. Next you can be informed about the insulation of roofs mentioned above. 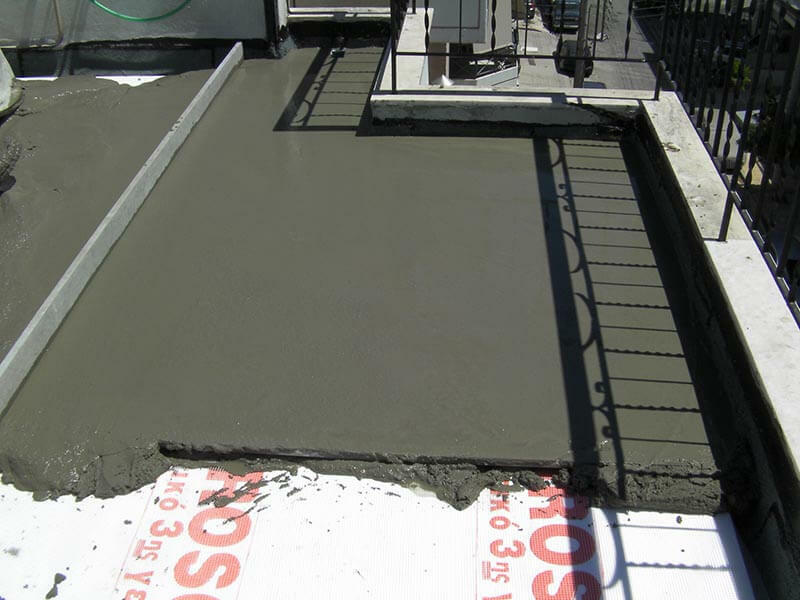 Primarily there are two options for roof waterproofing, the pasting of felt paper and the coating materials. 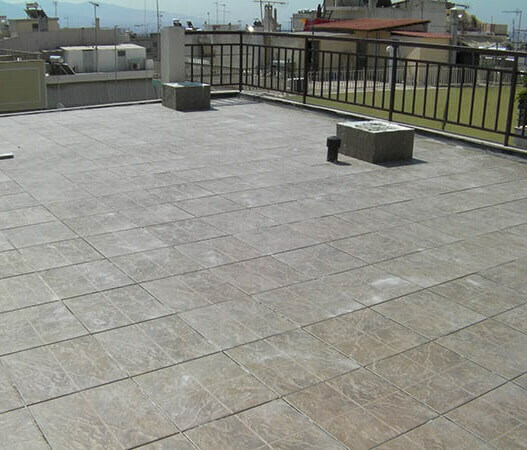 Our company provides both options, but for many reasons we strongly recommend the solution of waterproofing with coating materials, as well as you will see below, have significant advantages. Much more lightweight (up to 5 times lighter in weight maximum 40kg / m²). It is a more economical choice. It offers the same waterproofing, insulation and compatibility. Given a 10-year warranty from our company. Very low weight per meter until 9kg / m², with compared to the conventional weight which is about 40-50kg / m². Much less mortar thickness compared to the cement mortar. • Lower cost than the conventional thermal insulation and waterproofing. About 20€/m2 over 26€/m2. No need to unravel the surface of the insulation, if in the future you think about building something on top of the roof. We are here to help you choose the most suitable roof insulation system that will satisfy your needs to the maximum. Complete the offer form and our professional staff will contact you soon! Take advantage of the high quality insulating materials we produce and the competitive prices we offer you. We bring the insulation materials from the factory directly to the building! * We can ensure a free visit in the following areas. Attica, Arta, Volos, Thessaloniki, Ierapetra, Karditsa, Corinth, Kefalonia, Lamia, Chania. Do you need a special crew? 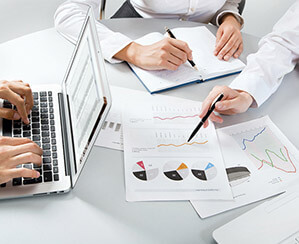 Choose whether you wish for the special crew to come over to your place, the associate crew in your area, for better assessment of your project.